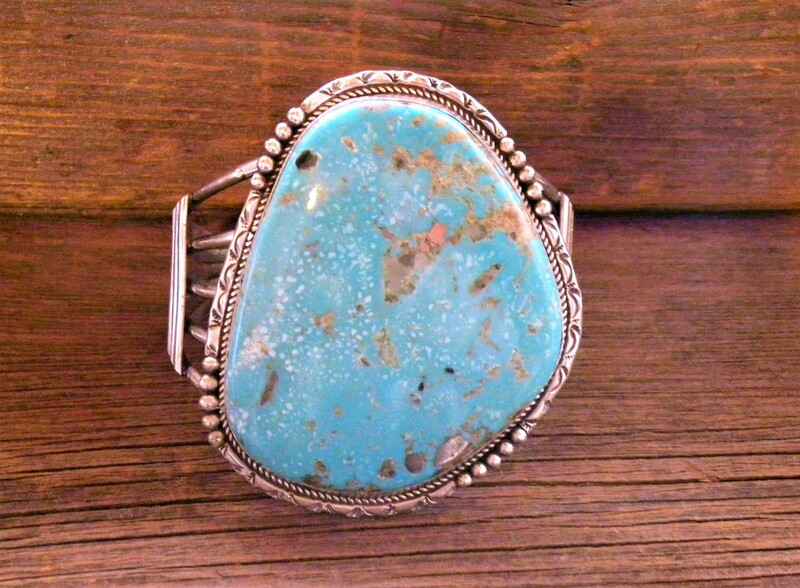 Bisbee Turquoise Selection - Rare Find! Navajo artists, Monroe & Lillie Ashley have been making jewelry exclusively for Old Presidio Traders Since 1982. Monroe started Silversmithing in the early 1970’s and worked with the Santa Fe Railroad at the same time. Monroe and Lillie have been hand making their unique style of jewelry for over 40 years. They work as a team with Monroe hand making the leaves, flowers, cutouts and stamping. Lillie does the designing and soldering. With our large selection of stones Monroe and Lillie are able to create a piece of custom jewelry for you at any time.